If you haven’t discovered flash sale sites yet and you are a designer-hungry fashionista mom looking for a deal you must check them out. The craze all started with Gilt Groupe and now there are a number of flash sale sites online. You simply “apply for membership,” get approved, then the daily emails start coming. I like to watch for my favorite brands in the subject line, then peruse the sale. To “shop” these sites everyday can be overwhelming, not to mention, just like any sale, make sure you stay focused on buying what you really need and/or want, and are not just buying because an item is on sale. Returns are also easy (unless an item is noted final sale), so not to worry if you received something and aren’t satisfied. There are quite a few flash sale sites out there, but here are the four that I frequent. I included examples of cool items I found right now, but note that things change and sell out quickly, so like all “bargain” shopping you need to dig around the site. Gilt Groupe. From high-end (vintage Chanel, Hermes, Gucci) to contemporary (Rebecca Taylor, Joie, Trina Turk, Tory Burch) designers for women, as well as designer wear for men and children, Gilt Groupe holds over 200 sales per week and has excellent customer service. In addition, the site features home items, a section for travel deals, and Gilt City, which lists special offers in 13 different cities or ones that are available nationally. 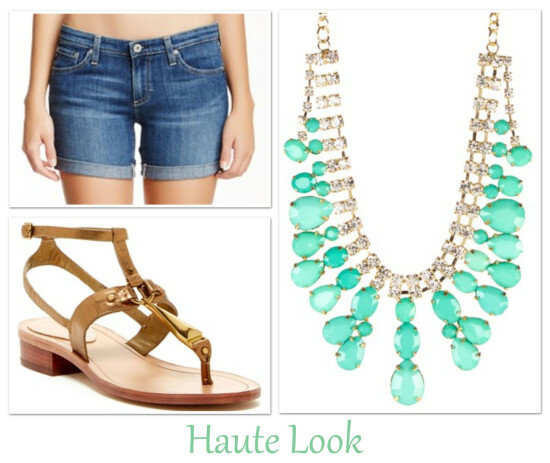 HauteLook. Owned by Nordstrom, HauteLook regularly features the same brands you see in the stores, plus more. I’ve scored not only great deals on clothing and shoes, but also on beauty products, such as Tan Towels for self-tanning. Returns are no problem. In addition to pieces for myself, I often buy clothes and shoes for my daughter on this site for a reduced price compared to what I’d pay in the store. Rue La La. A designer-shopping haven that carries from Saint Laurent and vintage Chanel to Milly and Tibi, I have scored some exciting deals on this site. Rue La La features clothing and accessories for men and kids as well, and includes home, travel and gift sections. If you don’t see a brand you are interested in right now, be sure to check out the Coming Soon section for upcoming sales. 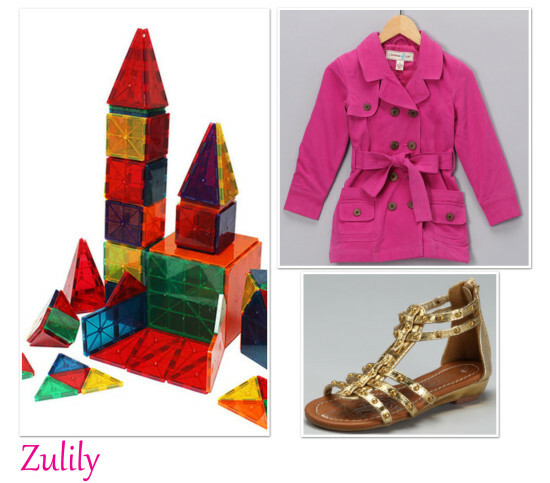 Zulily. This site is a terrific resource to stock up on kids’ clothing, shoes, toys, books, and costumes. For my little girl’s birthday a few years ago, I bought a bunch of tutus and superhero capes for her party favor for a steal, and regularly find darling dresses and shoes for her as well. The site also features home items and basic clothing, accessories and shoes for moms. If you have other flash sale sites that you recommend, please comment below! I’d love to hear about your experiences. Hi! Someone in my Myspace ɡroup shared tҺis site with us so Ӏ cаmе to ǥive іt a look. I’m definitelү loving tɦe information. Ι’m book-marking and will bе tweeting this to mу followers! Terrific blog ɑnd excellent design.